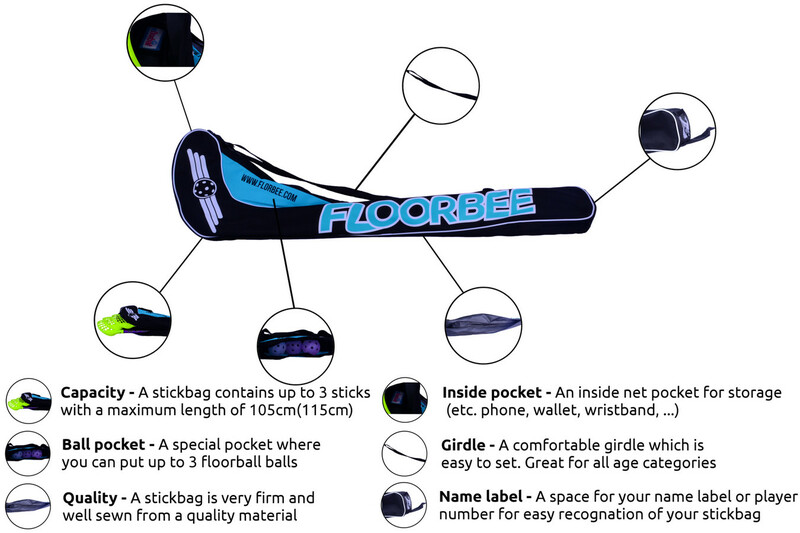 FLOORBEE stickbag holds up to 3 sticks with a maximum length of 105 cm. Modern black-mint-white design, which attracts not only children and adolescents but also adults. 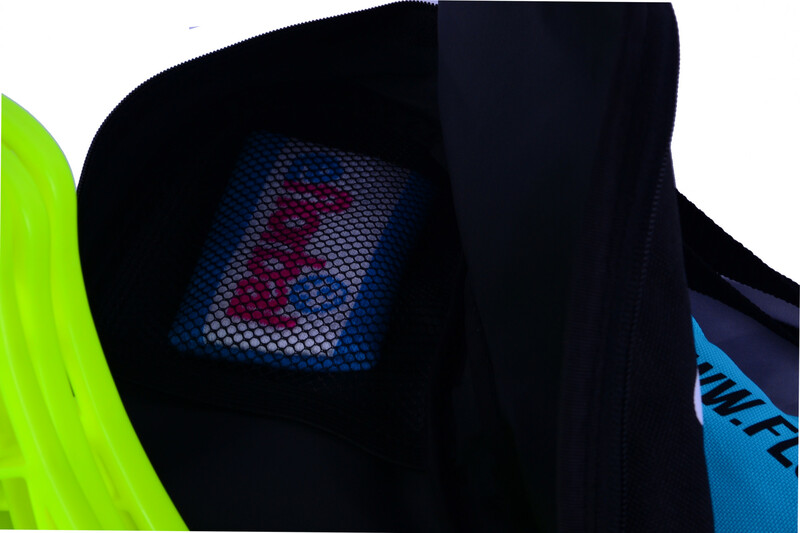 It is made of high quality material that is firm and sewn together, so do not worry about any rupture by general use of the stickbag. 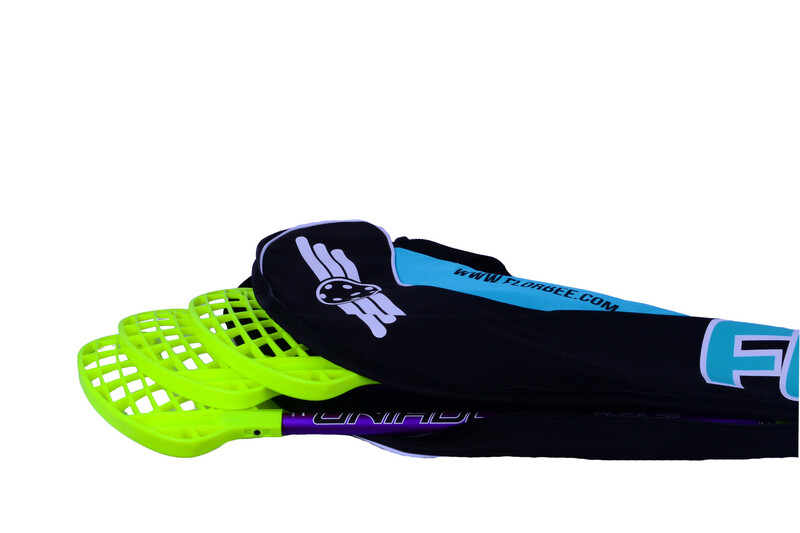 The bag has a separate outside pocket, which is primarily intended for storage of balls. 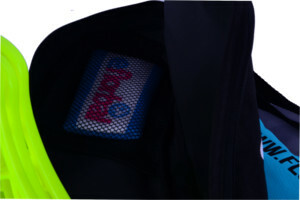 This uptake pocket holds up to three balls. 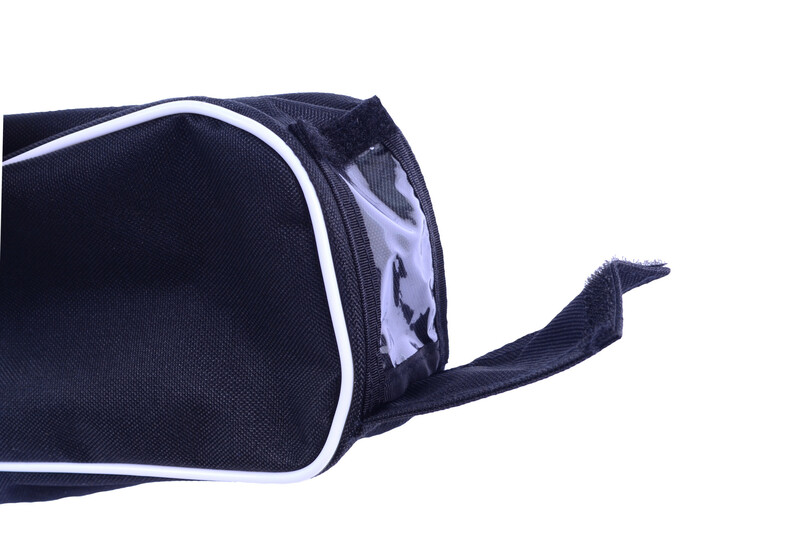 There is also a mesh pocket inside the bag, which is on top of the bag, here you can insert a cell phone, wallet or perhaps a sweatband. 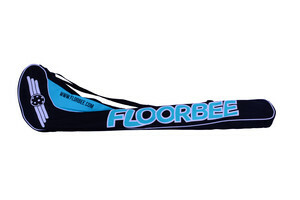 On the back of the bag there is a space on the name label. Just write eg. 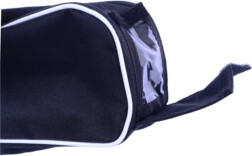 your name or your jersey number on a paper and you will know that this bag belongs only to you. 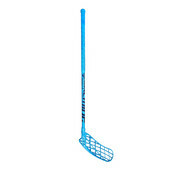 Very useful when the bag is used by multiple teammates. 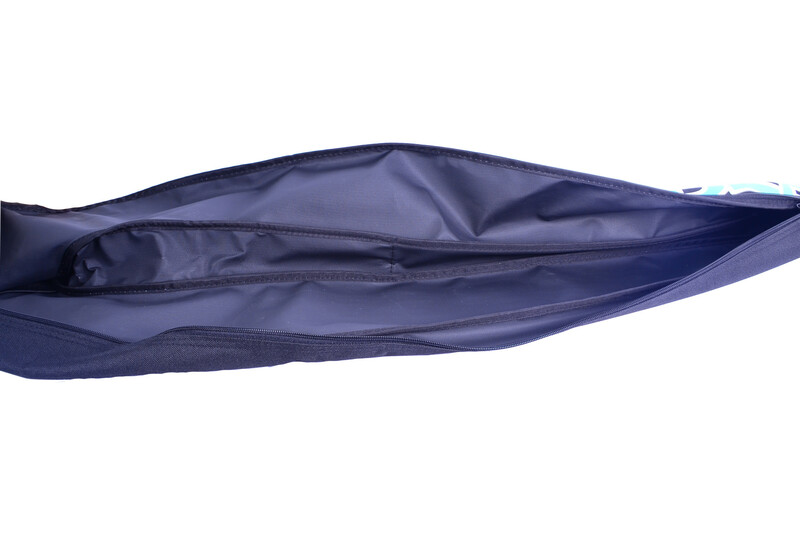 Stickbag has a comfortable shoulder strap to make it easy to set up.